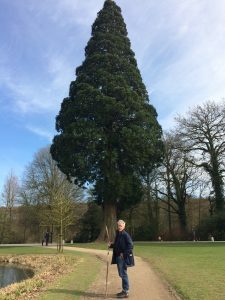 I never realized there were sequoia in Belgium. The one I’m posing with above lives in the parc of the Solvay Castle. The largest in girth is found in Esneux. This entry was posted in Uncategorized on April 8, 2018 by jahsonic.